Mastercard announced that from tomorrow, April 12, the amount will be increased, which can be paid without any contact, without the need to enter the PIN code at RSD 3,000. 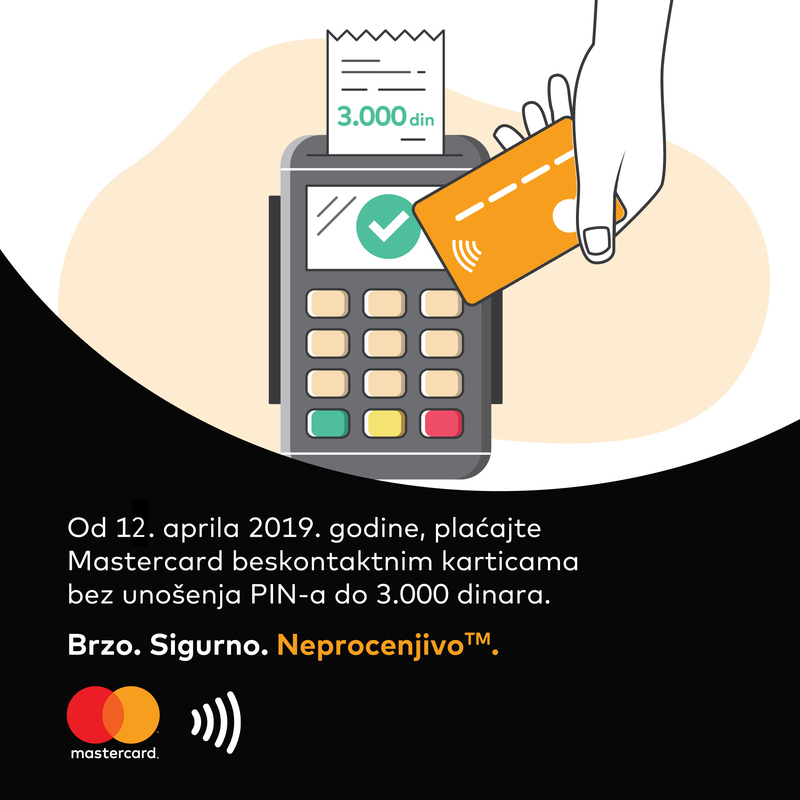 The planned increase in the contactless payment limit without entering the PIN code to RSD 3.000 meets the needs and expectations of Serbian users who have accepted this type of payment technology. The current limit for contactless payments without entering the PIN code that was established in 2008 has since been Mastercard contactless technology and available in Serbia in the year amounted to 1,500 RSD. MasterIndex Serbia’s 2018 research on the financial needs and habits of card users showed that 55% of card users already pay without contact. MasterIndex confirms that every third user of contactless cards would feel safe and comfortable when paying bills up to 3,000 RSD without entering PIN code, while 15% of users would like to pay without PIN code and amount to more than RSD 3,000. Mastercard contactless payments are safe to use, just as it is with standard cards. During each contactless transaction, a unique security code is created that can not be used for another transaction through the same card, and this code also guarantees that even if the card reaches the terminal several times, the user will be charged only one transaction. It is also important to note that contactless transactions can only be performed at registered POS terminals, which ensures that the user and his bank can monitor each transaction, with the potential for potential misuse being reduced to a minimum.